On August 30, ZBB will return to the Saratoga Springs venue with Lukas Nelson & Promise of the Real. 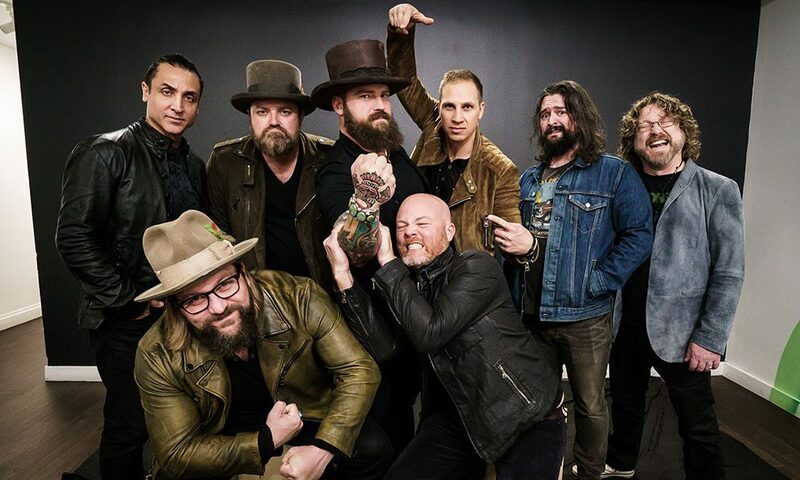 Zac Brown Band (back row, from left): Daniel De Los Reyes, John Driskell Hopkins, Zac Brown, Jimmy De Martini, Clay Cook, Chris Fryar; (front row, from left): Coy Bowles, Matt Mangano. When I spoke to Zac Brown Band’s (ZBB’s) Matt Mangano in advance of the band’s tour date at the Saratoga Performing Arts Center (SPAC) last summer, he told me how much he enjoyed spending time in Saratoga Springs. And also, on a more Saratoga-serious note, Mangano told me that he had actual hard evidence of the power of Saratoga’s healing, medicinal waters. In short, he and the guys were honorary Saratogians. Now, we can—to paraphrase their most recent album title—welcome them home. This coming August 30, the Grammy-winning, multiplatinum-selling country band will return to SPAC on its The Owl Tour, with special guests Lukas Nelson & Promise of the Real (Nelson, who’s father is country music legend Willie Nelson, played last summer’s Outlaw Music Festival at SPAC). Nelson and company will only be appearing on select dates, so SPAC concert-goers will be getting a double-dose of top-notch music that evening. Tickets for the SPAC date go on sale on February 8 at 10am. Ticket prices range from $38.25 to $108, and lawn four-packs are available for the show. When the time comes, tickets can be purchased here.